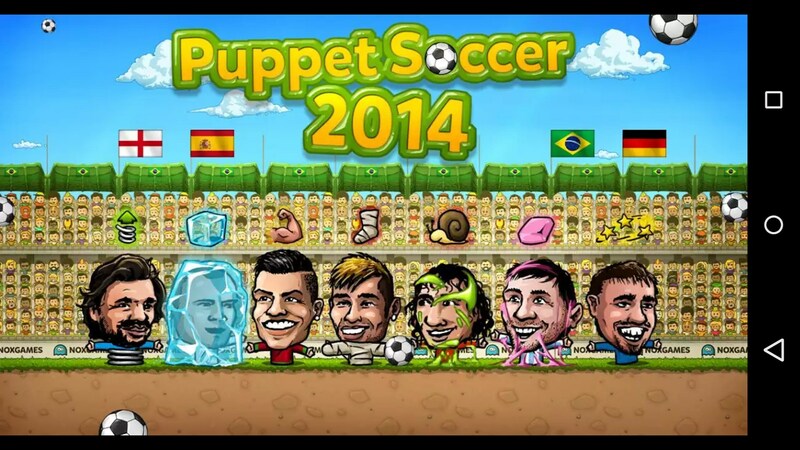 Puppet Soccer 2014 - Football – Games for Android 2018 – Free download. 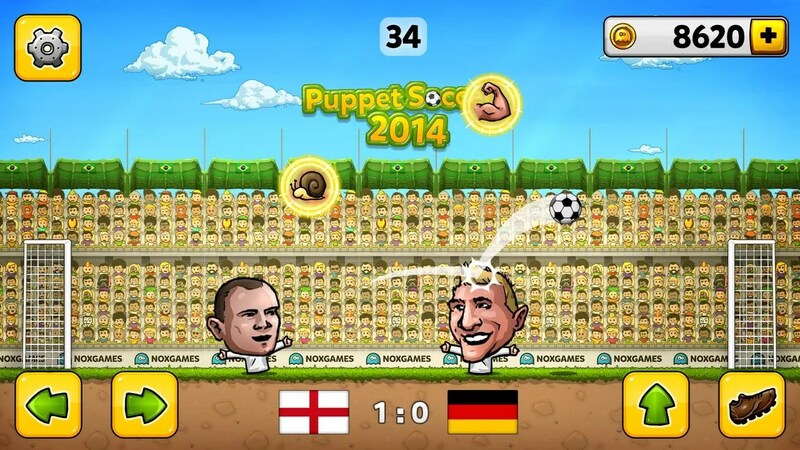 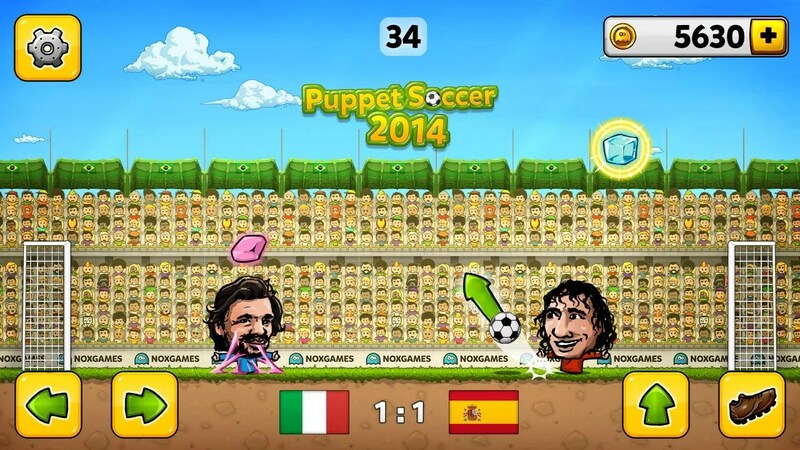 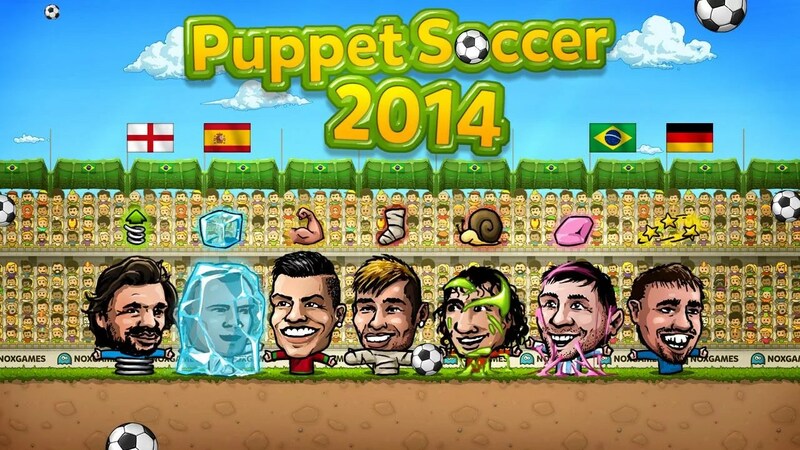 Puppet Soccer 2014 - Football – A comic celebrity soccer that offers tons of fun. 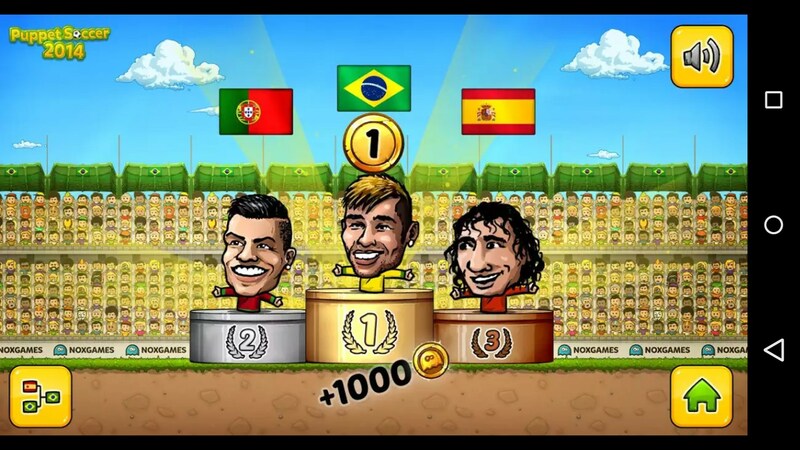 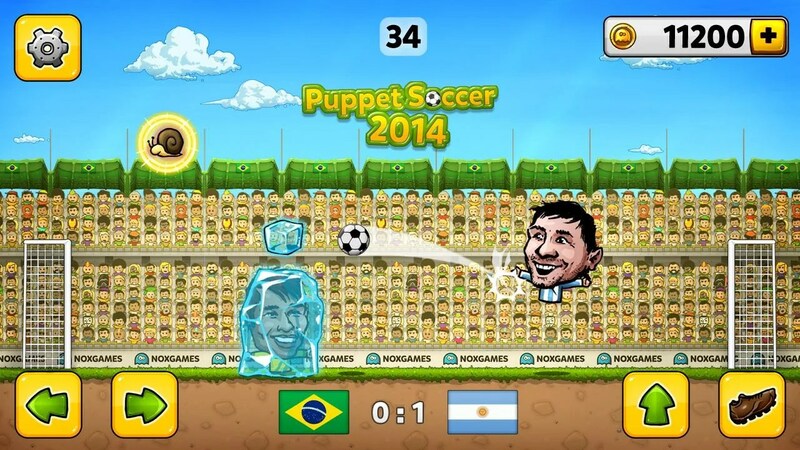 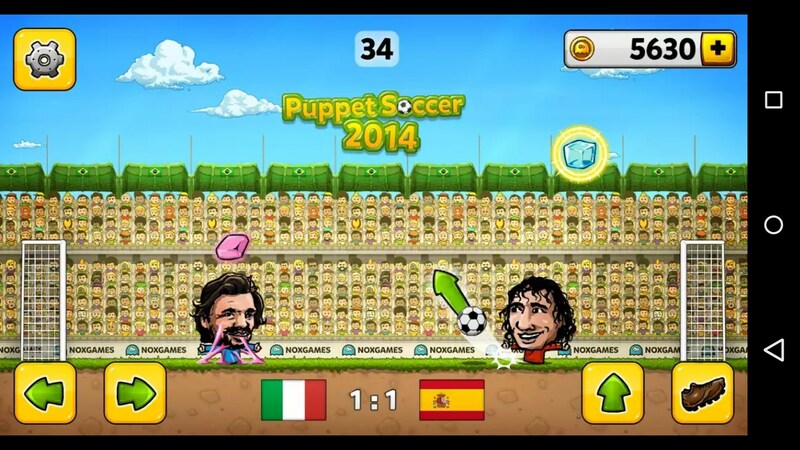 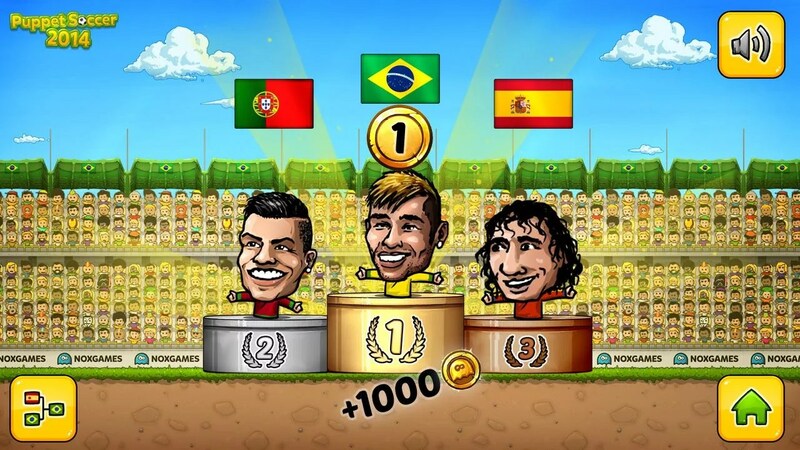 Using the simple on-screen controls players can play one on one celebrity football in Puppet Soccer 2014 – Football. 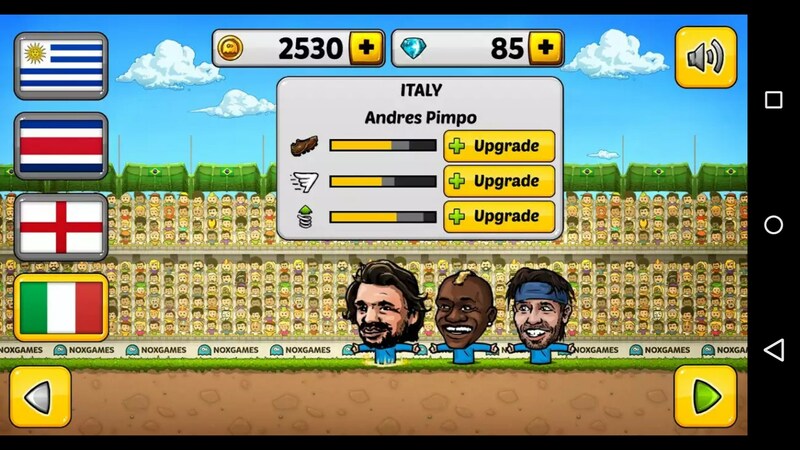 Its odd 2D take on the game keeps it fresh and the added comedic elements do a great job at keeping players engaged as they play championship upon championship as their favorite characters. Gameplay is a odd form of football that requires equal parts skill and luck to successfully win a match. 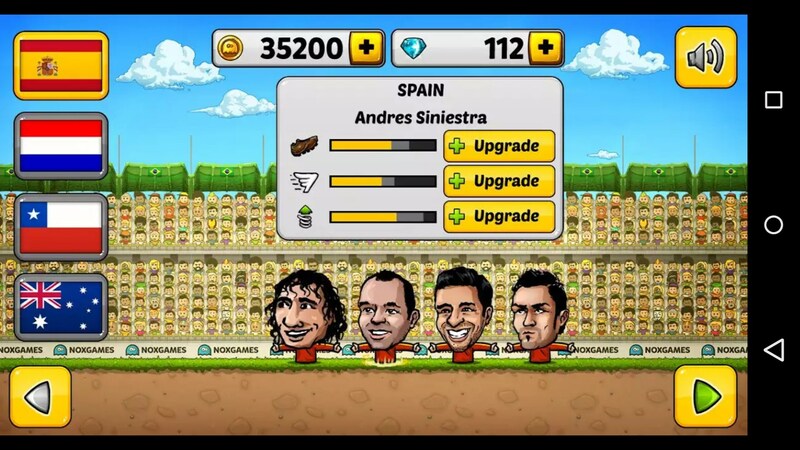 Instead of the usual lineup teams are comprised of only one character, usually a caricature of a famous representative of each country. 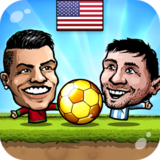 These amusingly drawn characters go toe to toe with another opponent as they attempt to score as many goals as possible, while still defending their opponent’s attack. 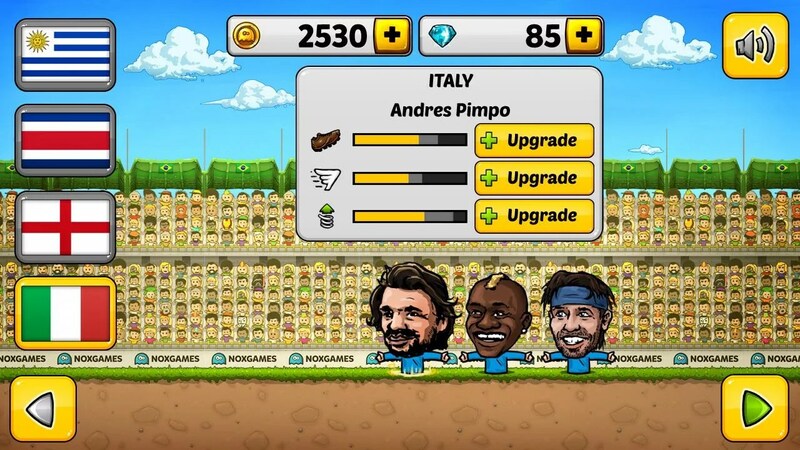 A vast array of comic power-ups is available for both players and their opponents, ranging from trapping the opponent in bandages, ice or bubble gum, or lifting him into the air allowing for a free shot. 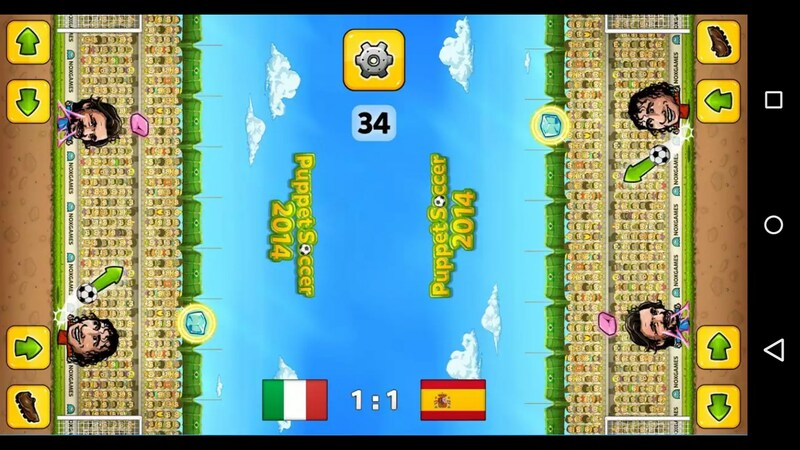 Power-ups spawn above the field and can be obtained by shooting the ball into them, causing them to be applied onto the player, for beneficial ones, or onto the opponent for those that hinder. 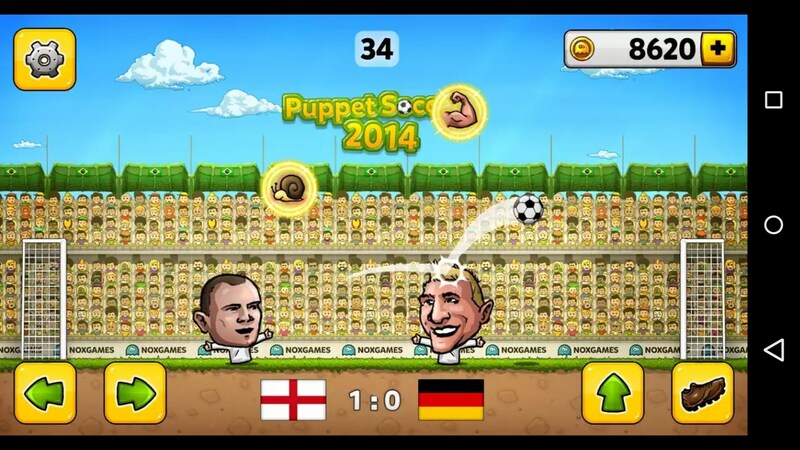 To top things off the game can even be enjoyed with our friends. 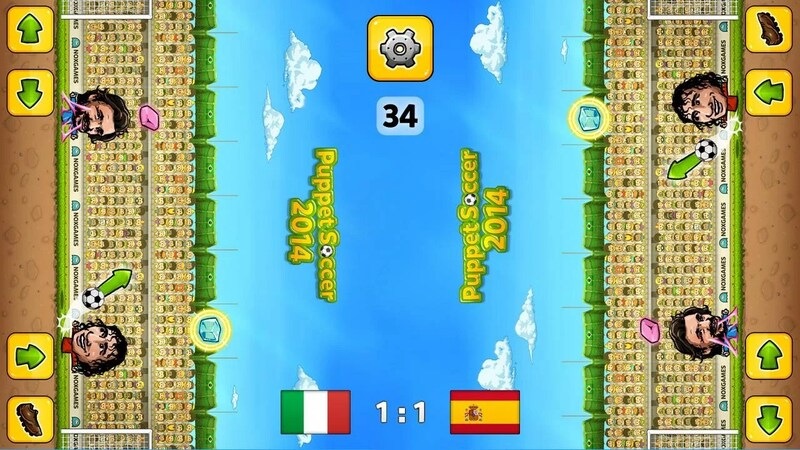 The two player splitscreen mode will have two players battle against one another, each holding on to one end of the device and attempting to score as many goals on the other. 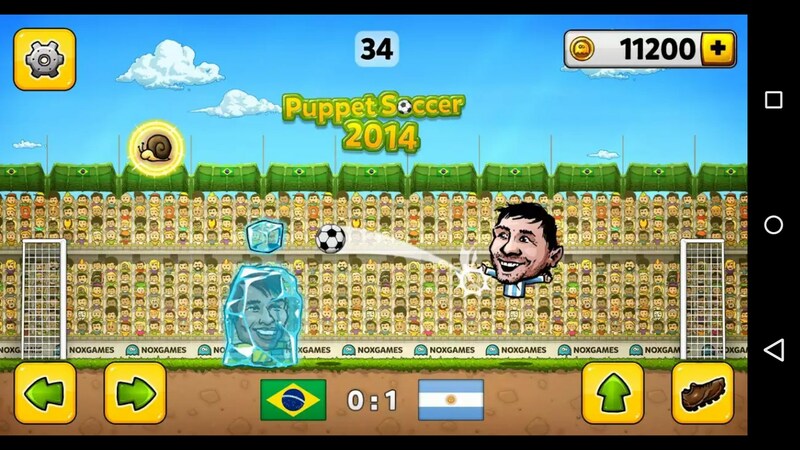 Overall Puppet Soccer 2014 – Football for Android is a wacky and entertaining game that manages to stay entertaining long after its novelty has expired. 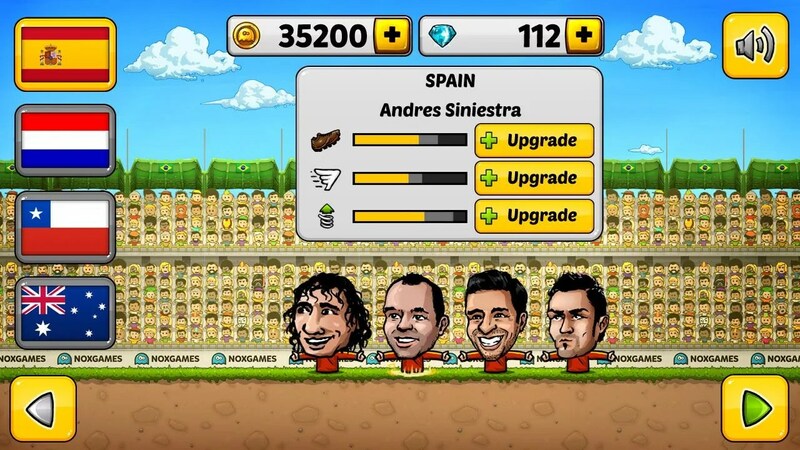 It does require an additional game mode or two to break away from the monotonous rut it puts the player in, yet it still remains a great game even in its current form.